Saving Water and Money One Toilet at a Time - Water-Efficient, Low-Flow, & Dual-Flush Toilets - Nowthen Plumbing, Inc.
You’ve probably heard of them and likely used one too. Water-saving fixtures are all the rage these days in the world of eco-friendly remodeling, and water-efficient toilets are commonplace in both residential and commercial remodeling. When did water-efficient toilets become a big deal? In 1994, the government decided that toilets shouldn’t use more than 1.6 gallons per flush, and manufacturers had to comply. 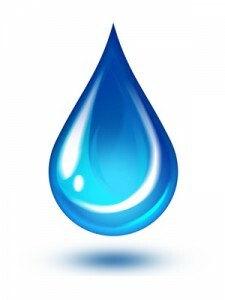 Previous versions were using 5-7 gallons of water per flush, which in comparison is a signifiant amount. Though early efforts in creating more efficient toilets weren’t the most effective pieces of equipment, things have come a long way. Today low-flow and dual-flush toilets consistently work well and are saving water and dollars one toilet at a time. So what are the differences exactly? Low-flow toilets use 1.6 gallons of water per flush or less. High-efficiency toilets use even less water, some a little as 1.1 gallons. Dual-flush toilets save water by offering separate flush modes: one button for solid waste, one for liquid waste. Switching from a standard to a low-flow toilet can save thousands of gallons of water per year. Replacing your old toilet with a more efficient one is a fairly simple and affordable way of both conserving resources and cutting down on your water bill – ultimately saving you big in the long run. Need more motivation? The EPA’s watersense program website will walk you through why water-saving is important and how it can effect your pocketbook for the better! Ready to install a new toilet or need help with bathroom remodel plumbing? Contact us here at Nowthen Plumbing today! Quality and affordable residential and commercial plumbing, serving Elk River, Anoka, and surrounding areas in the Twin Cities MN.